When you stay at Hotel Xcaret Mexico, you open up a plethora of possibilities. The hotel's innovative All-Fun Inclusive concept means that everything is taken care of in advance and guests are free to enjoy the parks and tours they covet most. Dive into rich Mayan culture with the help of an experienced guide on the Xichen Deluxe Tour of Chichen Itza and Valladolid or take an exclusive journey to some of the most glorious cenotes that exist inside the jungle of the Riviera Maya on the Xenotes Enigmatic Waters Tour. Keep your adrenaline pumping on the Xenotes Tour while rappelling, kayaking, swimming and splashing into sacred waters via thrilling zip-lines. Afterward, wind down with a luxury picnic in the middle of the jungle, complete with wine and beer. 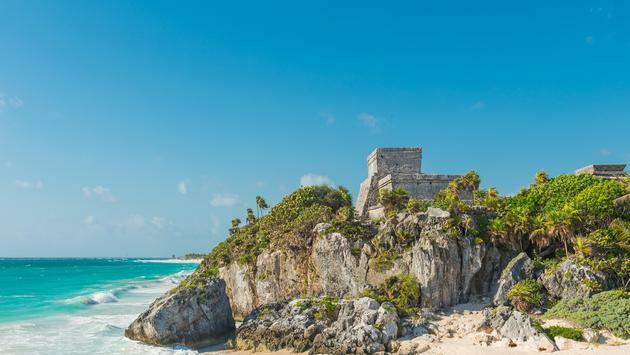 Guests can also tour the only ruins along the Mexican Caribbean coast with a visit to the archaeological site of Tulum before spending several fun hours at Xel-Ha Park. The Xel-Ha and Tulum Tour will educate guests on important facts about the ancient walled city and Mayan port and allow them to unwind in Xel-Ha's inviting rivers and cenotes. Meanwhile, the Xel-Ha and Coba Tour is a similar all-inclusive offering for Hotel Xcaret Mexico guests. Tour the Mayan city of Coba, climb the famous, 138-foot-tall Nohoch Mul pyramid and spot fascinating buildings and stelae as you traverse the Mayan jungle. Food and drinks are also included in your visit to Xel-Ha on both tours. For more information on Hotel Xcaret Mexico, check out their website here.